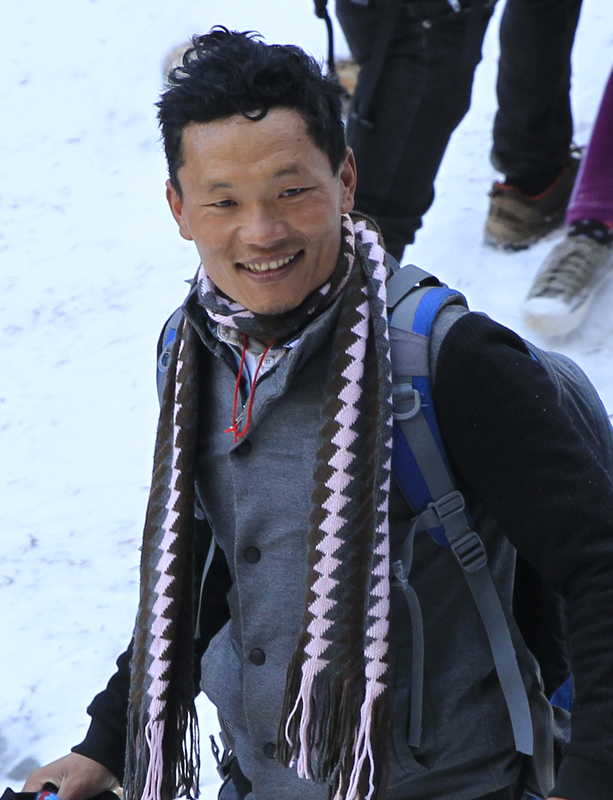 Chhatra is a local technician from the village of Maheshwori - one of our newest working areas in Khotang. He has been involved with dZi construction projects for drinking water in Maheshwori since we started working there. His technical skills helped the community finish projects in a much more efficient manner, and also plan for sustainability measures. After the earthquake, seeing that he had a lot of experience working in rural construction projects and an increased workload for our technical team, we hired Chhatra as Assistant Civil Technician. He has an overseer degree, and has previously worked for Rural Water Supply and Sanitation Fund Board as a Civil Technician. He will be assisting our Chief Technician Raj Kumar Rai in a school reconstruction project, as well as other construction works like drinking water and irrigation.